What’s a martingale collar, and why do we use it? Before you come to any of our training classes we require that all dogs arrive with a properly fitted martingale collar. A martingale, or training collar, is a fabric collar with a small length of circular chain. 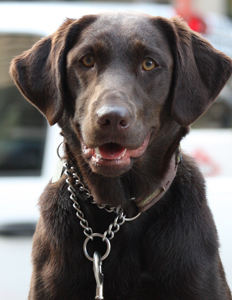 The chain hangs loosely when adjusted properly, and with gentle pressure you can safely get your dog’s attention. Martingale collars are designed to never slip over your dog’s head, and to prevent choking. This is an extremely versatile collar, as with a loop for your dog’s tags it can be left on safely at all times. We recommend our favourite retail store, Unleashed, to get your dog fitted and sized for his or her collar before coming to class. Feel free to bring your dog into the store! They also have a great selection of fun colours and patterns to choose from. 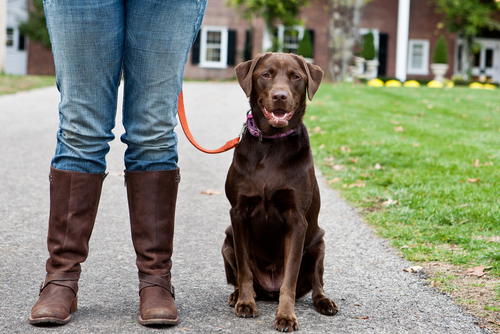 We believe that a martingale collar used with a 6 foot leash is the most versatile and appropriate tool for training. This leash length allows you to have your dog close enough to keep safe, yet provides sufficient distance to perfect your basic skills. 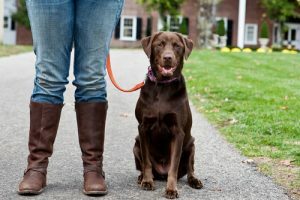 There are a variety of leashes available today, but we feel that hands-free leashes offer the best balance of flexibility and control. What makes the hands-free our favourite? 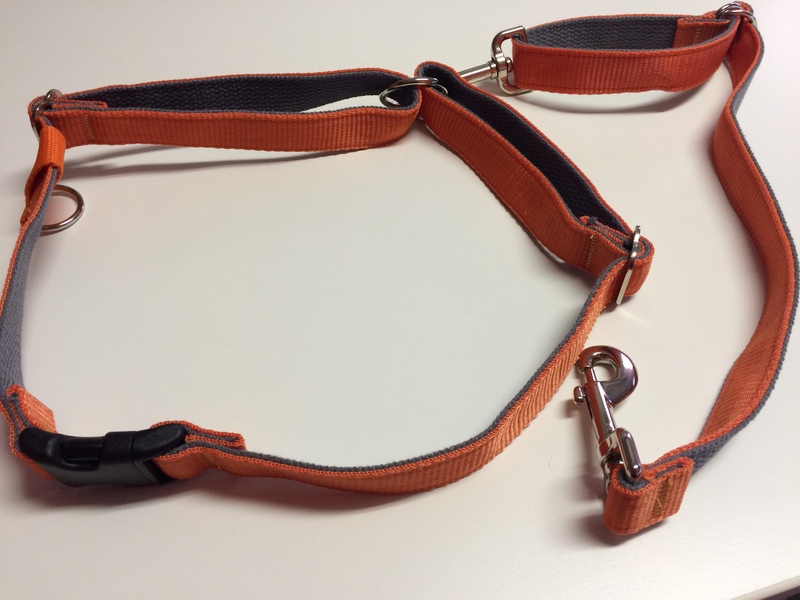 All pupstart and jumpstart clients will receive a FREE trainer’s edition hands-free leash in our signature orange with enrolment! When you start with the right equipment, you start off on the path to success.